Describe the programs and processes associated with acquiring and maintaining an effective and efficient workforce. 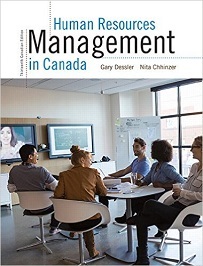 Analyze some of the key human resource management issues facing Canadian organizations now and in the foreseeable future. Utilize terminology and articulate generally accepted procedures of major human resource management processes and programs, i.e., recruitment and selection, compensation, performance management, training and development. Identify the Canadian and British Columbia employment laws and regulations that apply to employers operating in British Columbia. Prepare and present effective written presentations. Interested in being notified about future offerings of HRMG 3105 - Human Resource Management Fundamentals? If so, fill out the information below and we'll notify you by email when courses for each new term are displayed here.